Most checks – more than 999 in 1,000 – go through the image clearing process on the first try with minimal human intervention. But the few that don’t can cause problems far out of proportion with their overall numbers. In a 2014 study of several major U.S. banks , we found that having just 0.03% of items rejected due to image errors could generate expenses almost equal to the cost of clearing the other 99.97% of checks combined. The financial institutions we spoke with indicated that the average cost of such errors was $20-$30 per item. 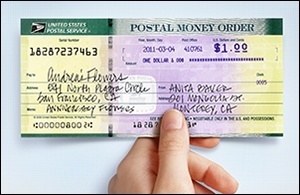 writing, colorful backgrounds, and out-of-spec printing can make it difficult for a camera to capture a readable picture of a check or money order. When that unreadable item reaches its clearing destination, it’s rejected as a non-conforming image (NCI), incurring fees, wasting time, and requiring extraordinary effort to research and repair. Nationwide, these critical errors cost banks and credit unions millions of wasted employee hours and hundreds of millions of dollars per year. Digital Check has developed an array of software tools to address image quality problems both before and after they make it into your processing queue. Our Best Read® API captures and compares multiple image iterations of the same check and selects the best one based on contrast settings and light levels. Special Document Handling™ catches known problem document types that come up often, such as money orders and other items, and makes pre-programmed adjustments to produce a readable image before it enters the processing queue. While many problem documents follow predictable patterns, Clear by Digital Check® covers the final mile in image enhancement, allowing an operator to manually or, in some cases automatically, clean up individual areas of a specific check image with a simple click-and-drag interface. So when dealing with a one-off repair like a check that’s dirty, worn or faintly printed – or a document with an odd background that you haven’t seen before – there’s a way to repair the image before it turns into a rejection, a write-off, or even a prohibitively expensive paper clearing item. To learn more about how Clear works, visit our product page or contact us for more information.